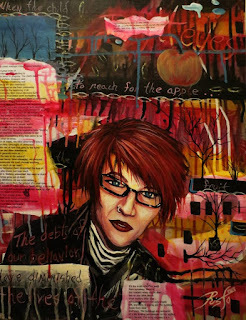 Genevieve Jencson has an MFA in Poetry from Cleveland State University and the Northeast Ohio Master of Fine Arts Program (NEOMFA). 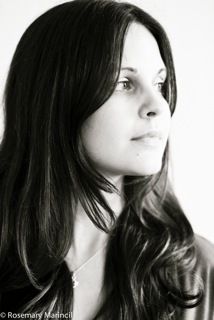 Her work has appeared in H_NGM_N, Dressing Room Poetry Journal, and Alimentum: The Literature of Food. Her first chapbook, Lanugo, was recently published by Dancing Girl Press. She lives in Cleveland, Ohio. Chuck Joy loves Mahall's. Look at Facebook, his photo, Mahall's. Chuck visits from Erie, Poets' Hall his home club. Erie, Poetry City. 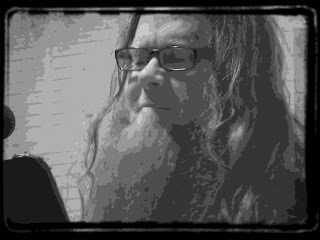 Chuck is bringing his new book, Said the Growling Dog. Chuck and Growling Dog went to New York City for a pair of featured readings. Left Bank Books and the Saturn Series. 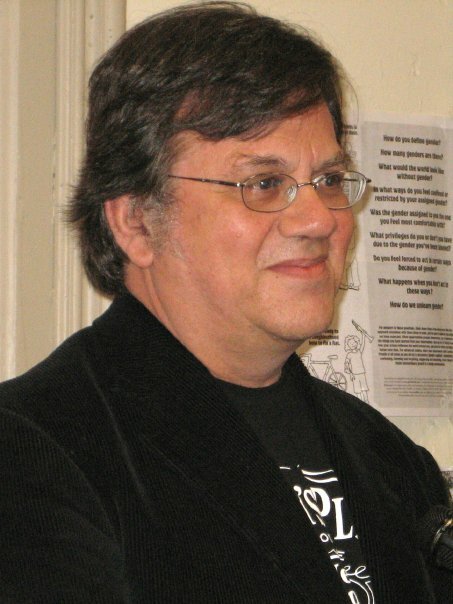 Chuck was guest poet at the annual meeting of the American Academy of Psychoanalysis and Dynamic Psychiatry. Chuck appeared at the Erie Art Museum with the poetry and music concert show Exploring The Border (Music and Words). Greg Michaels is a native of Lorain, Ohio. He lived in California for 30 years where he performed stand-up comedy and wrote sketch comedy, humorous articles, song parodies and shtick for his comedy barbershop quartet. He became enamored with the humorous story-telling style of the cowboy poets, but he couldn't write about ranch life, of which he knew nothing. A movie title, Urban Cowboy, inspired him. 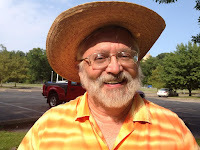 He said “Someday I'll write Urban Cowboy Poetry, whatever that is.” Back in Ohio, he figured it out. 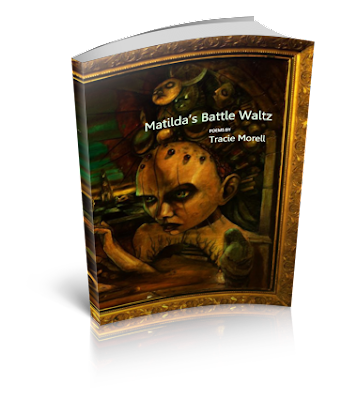 He takes popular urban legends and retells them cowboy-poet style. He started performing them around town, and he is now part of the Cleveland poetry scene. 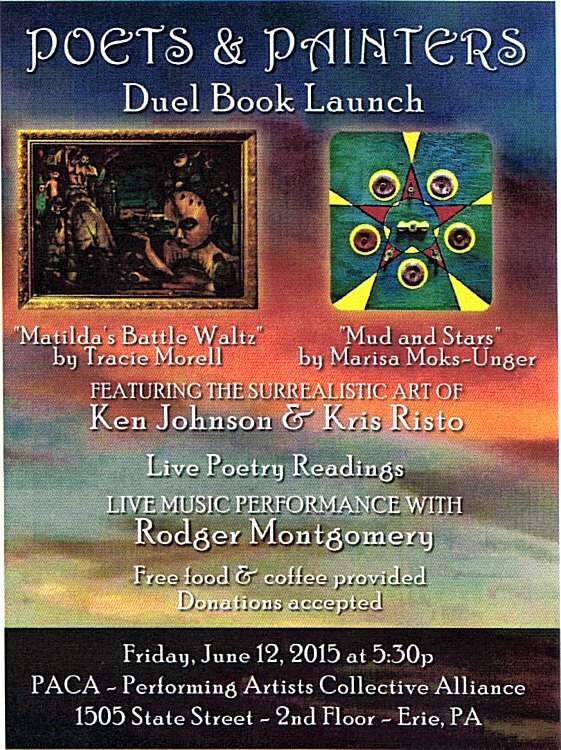 I, of course, will emcee an open mic following the featured poets. 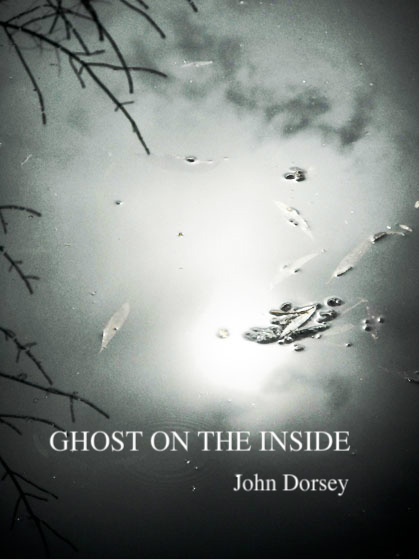 Crisis Chronicles Press publishes Ghost on the Inside by John Dorsey! 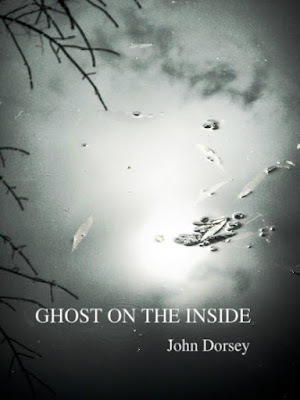 Ghost on the Inside is 5.5" x 8.5", hand assembled, saddle stapled, with cover image by Steven B. Smith on white cover stock with black card stock endpapers and the poems printed on pale cottonwood paper. Only $6 from Crisis Chronicles Press, 3344 W. 105th Street #4, Cleveland, Ohio 44111 USA. This Saturday, June 27th, I'll be part of a marathon poetry and music event in Toledo. These Sylvania Avenue Performances will take place in front of the West Toledo Library as part of their Make U Fair. 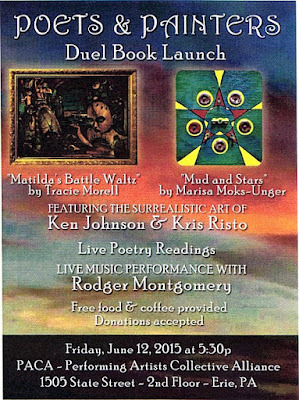 Four Crisis Chronicles Press authors will be among the performers, and we will also release John Dorsey's new chapbook, Ghost on the Inside, at this event. We moved the spider plant out of Leda's range. So now she's eating my patchouli. 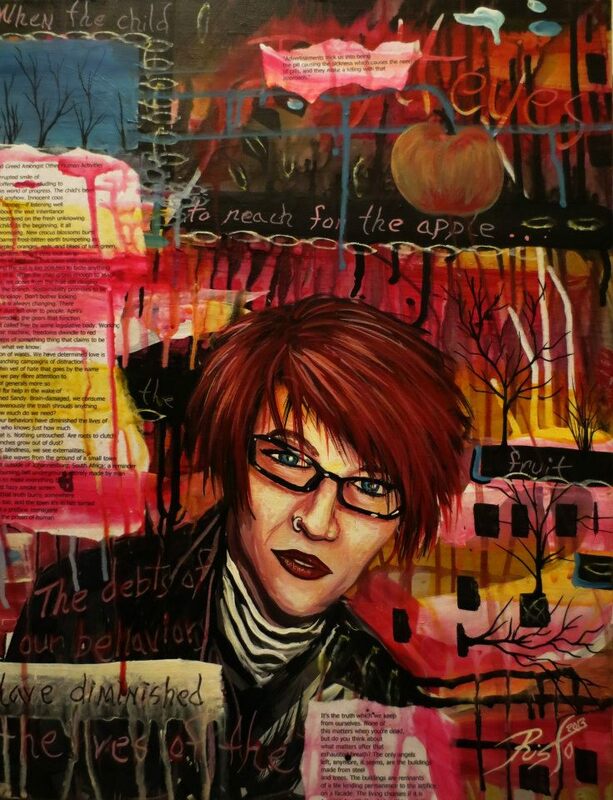 10 of my poems appear in The Poetry of S.O.U.L. 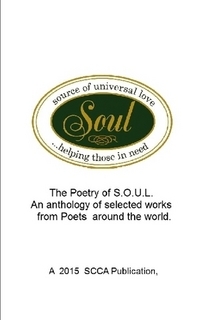 : An Anthology of Selected Works by Poets from Around the World, just published by the Soul Collective of Collaborative Arts in Farmington, Michigan. The 10 are "Rain Blow," "Cover Girl," "Slipping Backwards Into Blue Eden," "Bier," Much Adieu," "Therefore (I Am)," "Statuesque," "Angler," "Mark This," and "John Cage Engaged and Uncaged." This book also features poems by Zualteii Poonte, Chuck Joy, Nabina Das, Marc Creamore, Dianne Borsenik, William Burkholder, Hosain and Judy Mosavat, Matvey Troitsky, Brittany Farber and Carla Dodd. 127 pages in all. $16.50. All proceeds go to support the charity S.O.U.L. (Source of Universal Love). Maybe this isn't a poem. A haiku? Well, it has two stanzas, so I'm gonna call it ku-ku. Don't call me cuckoo - yet. Written a few hours before game 6 of the 2015 NBA Finals, though it's about more than just that. I used to pride myself on never missing a poetry event I was scheduled to read at or host, whether it meant driving hours in a blizzard, wearing a mask while wiped out with the flu or even going without sleep for several days. But there are more important things than poetry events. On April 28th I had to cancel a reading in Mount Vernon at the last minute (luckily, Dianne Borsenik was available to read in my place) and on June 12th I couldn't go to the big Crisis Chronicles Press book launch in Erie (Dianne was available again to make sure Tracie Morell's books got there in time). On June 1st, I had to leave my monthly Mahall's event after 20 minutes (fortunately, Ray McNiece was there as guest host for the evening). And now I've withdrawn from the Lake Effect Poetry team that is scheduled to represent northeast Ohio this weekend in Rockford, Illinois. Team "Slaministrator" Vertigo Xavier knew this was a possibility and is prepared to step into my slot since he's making the trip anyway. 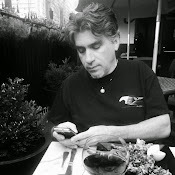 While I always hate to let my friends and fellow poets down, it is more important for me (and to me) to stay close to home for the time being while a loved one is having health issues and needs me near. I realize that's vague, and I'm sorry, but I can't be more specific publicly and still respect that loved one's wish for privacy (which I hope you too will respect). So I won't be taking on any more out of state readings for the near future, though I am hopeful that I will still be able to keep my upcoming Ohio reading commitments since they don't require me to be as far from home for as long. All this has also played a role (though it's not the only factor) in my recent decisions to hand off the reins to the Monday at Mahall's poetry series to Terry Provost this fall and to wind down the breakneck pace of Crisis Chronicles Press by the middle of next year, by which time I expect I will have fulfilled all our pending publication commitments. More soon (maybe). I remain grateful for your patience, support and good wishes. Matilda's Battle Waltz is a powerful new collection of poems by Tracie Morell, illustrated by Kris Risto, featuring wraparound cover art by Ken Paul Johnson. Perfect bound, 5.5" x 8.5", 89 pages, ISBN 978-1-940996-22-6. Available for $10 from Crisis Chronicles Press, 3344 W. 105th Street #4, Cleveland, Ohio 44111 USA.